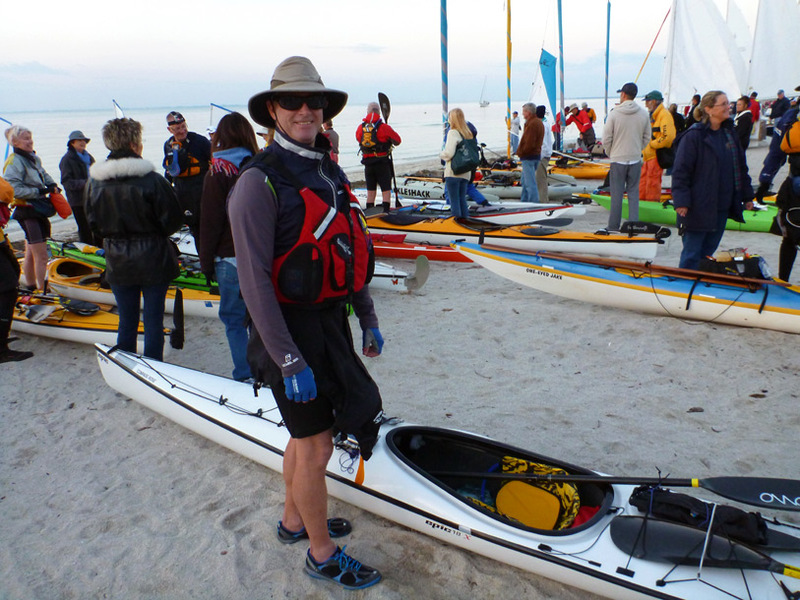 On March first (Saturday) at 7AM, a record 142 entrants across six different boat classes will rush off the beach at Fort Desoto, in Tampa, to begin the next Watertribe adventure! I will be participating in the 300 mile Everglades challenge (Tampa to Key Largo) this year but there is also a 60 mile Ultra Marathon and a 1200 mile Ultimate Challenge running concurrently. I won my class last year and hope to do well again. This year I will be in class 1 (expedition kayak and canoes), and being a minimalist I will be one of the few people in that class without a sail. Currently winds are predicted to be light, so I hope to pass some of the sailboats that were flying by last year in strong winds! These events are grueling, but are great fun. They are an eclectic mix of expedition and race. The camaraderie is great, but after the first day I rarely see any fellow competitors until I stop at a checkpoint. The Everglades Challenge gives you the feel of an expedition — being “out there” and “living in the moment; wave by wave”, without even having to take a leave of absence from work! Note — The following post was written just after returning from Spain, but I was soon traveling again, and didn’t get a chance to edit and post it. Just this last weekend I enjoyed teaching locally at Paradise Coast Paddlers Festival. Following the festival I attended a great wing technique session taught by Oscar Chalupsky. I’m just getting over the jet-lag, returning from visiting Europe, after enjoying teaching for the second time at the Pagaia symposium in Spain. This is by far the most international of events that I have ever participated in. Classes are overflowing with diversity with students speaking French, English, Spanish, German, Italian and Catalan. My hat is off to José Calderón, Anna Morena, and everyone who helped to organize this vibrant (and logistically challenging) event. It’s been a few years since I have have taught in Europe so it was great to catch up with a number of old friends, both students and coaches. The venue is on the clear Mediteranean. The landscape is bordered by vineyards, olive trees, rosemary bushes and green foothills that touch the sea. Coming from Florida, the temperatures were cool. I wore a drysuit for most of my classes. 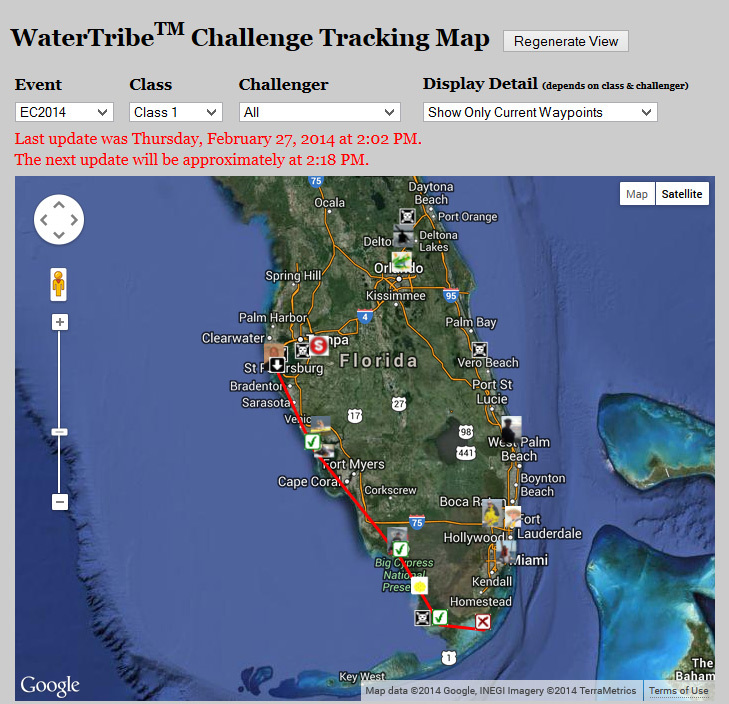 The Everglades Challenge 2013 is done, results are at http://www.watertribe.com/Events/ChallengeResults.aspx. 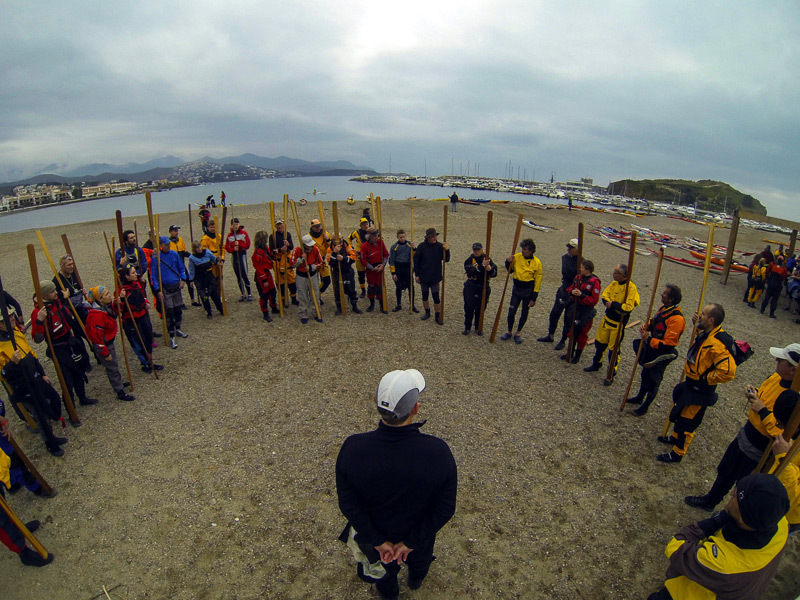 I had a good run and was pleased to be the first solo class 2 (racing kayaks and canoes, no sail) to finish, and also led the class 1 (expedition kayaks/canoes with 1 meter sails). My boat and body held up just fine, although I was quick to arrange for a full massage soon after the race. Even with the massage, my lats and back muscles went into “rigamortis” a few days later and only recently have I felt like paddling again. I lost six pounds during the race even though I was eating Perpetuem every 15 minutes. 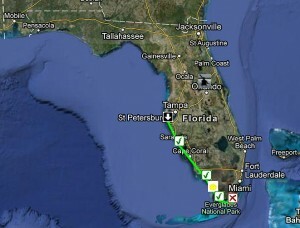 A 300-mile adventure race for small boats paddling and sailing from Tampa Bay to Key Largo in 8 days or less. On Saturday, March 2, 2013 at 7a.m. over 100 s mall boats with over 125 experienced and intrepid mariners from around the country will launch from Fort De Soto County Park on Mullet Key just south of St. Petersburg, Florida to compete in one of two adventure races: The Everglades Challenge (EC2013) and the Ultra Marathon (UM2013). 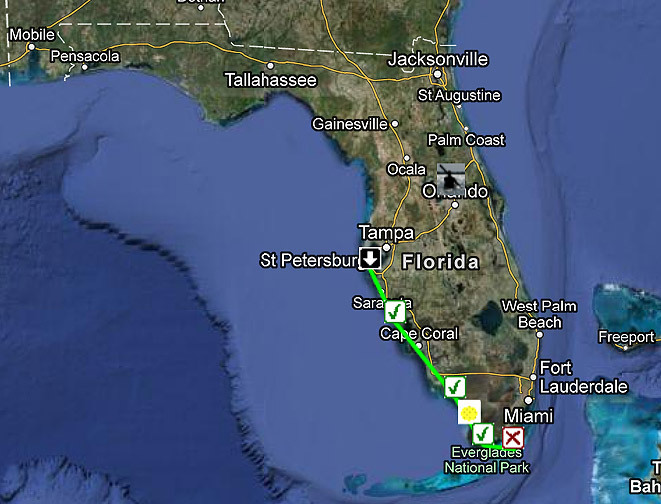 The EC2013 is a 300-mile trek along Florida’s Gulf Coast ending in Key Largo and must be completed in eight days or less. The Ultra Marathon is about 62 miles and finishing at Cape Haze Marina in Englewood. These races are open to boats propelled by human and/or wind power only. No tows, no rides. Modern GPS tracking units allow race officials and anyone with internet access to follow each race participant in real time as they make their way along their chosen route. 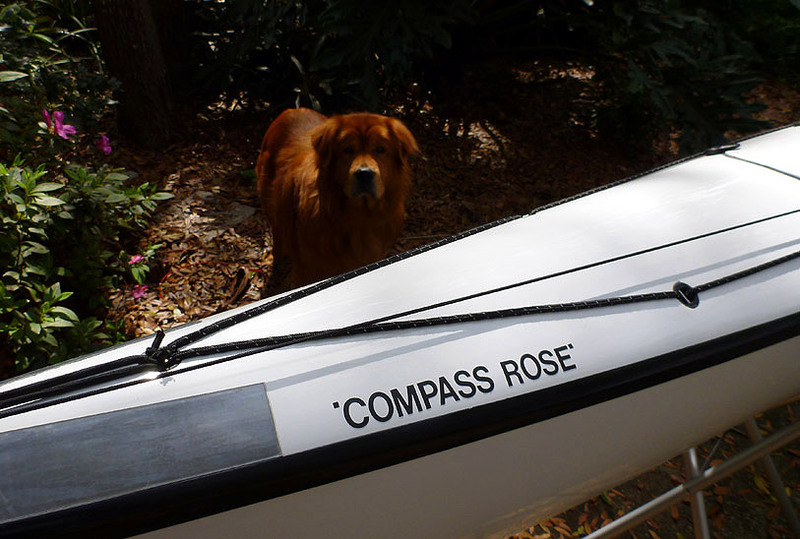 “I designed the Everglades Challenge to be the toughest week long adventure/endurance race for small boats anywhere in the world,” said Steve Isaac, founder and “Chief” of the WaterTribe, which sponsors the Everglades Challenge. Q: Can I mount an ONNO foot bar in my NDK Greenlander pro? A: JP, I have an ONNO carbon foot bar (foot plate) mounted in my NDK Greenlander Pro and love it. 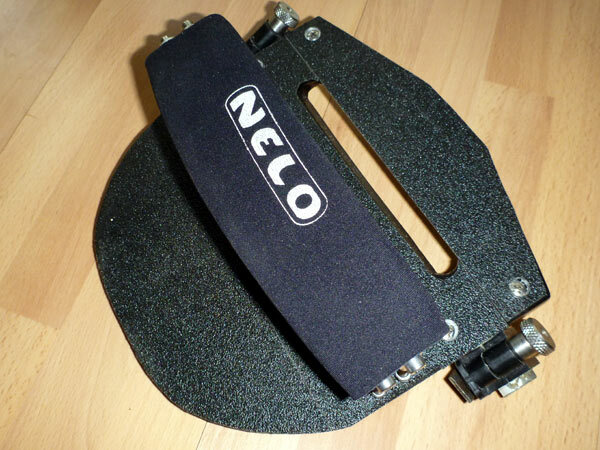 For those who aren’t familiar with it, the ONNO foot bar is a very lightweight, wide carbon plate that mounts to your existing Yakima pedals (stock installation is with screws). The hardware is provided to modify your current Yakima aluminum rails so that they are parallel so that the solid foot plate can be adjusted fore/aft without binding. I have size 10 feet and have just enough room to bring feet and knees to a centered position in the keyhole cockpit. There isn’t a lot of clearance, my knees can fit only when they are very close together, about an inch apart. For more clearance you could modify the thigh hooks (grind them away a bit). In this centered, racing-style position, I can generate more torso-rotation than in the “splayed-out” position. Q: How hard is it to paddle around with a camera in the cold? I’d love to do a shoot somewhere with the ice and water. Some of your pictures are amazing. — Donna. A: Donna, Thanks for the complement. All of the kayaking images that I have taken in the last few years have been with the new breed of “waterproof/shockproof” point and shoot digital cameras. These cameras don’t offer quite the image sharpness and features of more “professional” cameras, but their strength is that you can grab them in an instant and capture images that would go missed with a much bulkier camera or a camera that must be retrieved from a dry box. Most of the images for my Sea Kayaker magazine articles were taken with a waterproof digital, so very good results are possible. I have used the Olympus Stylus series (e.g. Stylus 1030 SW) extensively, but lately I have been using a new Panasonic Lumix DMC-TS3. Both are great cameras. 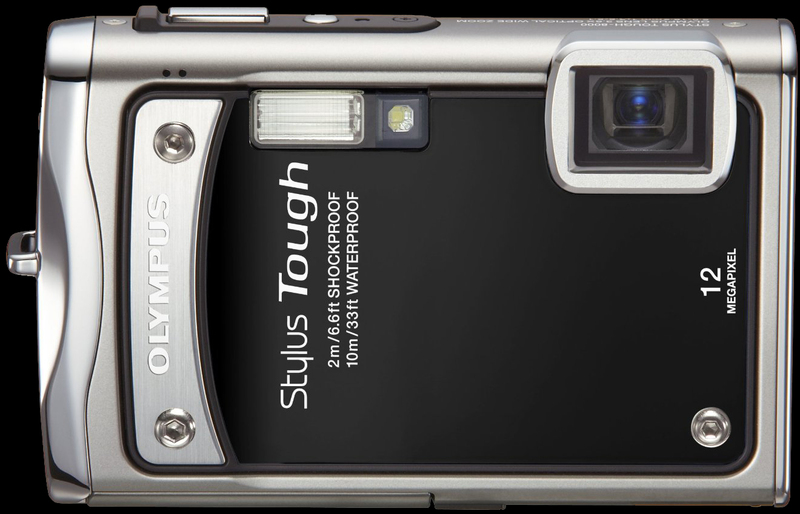 The Olympus has a sliding closure that covers the lens after you turn off the camera. I have a love-hate relationship with this feature. Usually it works great, and keeps the lens clean and dry, however if you do manage to get water behind it, it continues to smear water on the lens every-time you turn on the camera, even if you dry the lens. Q: You have stated that the Greenland Paddle (GP) can act as a wing when the GP is used in a high wing type stroke. Have you done a test in your fast kayak, GP vs wing to determine advantages of one or the other with respect to efficiency and/or speed in non racing situations, eg., outings from 5 to 15 miles? A: Jerry, Although I realize that you said non-racing situations, let me use that as an example, first, as it helps to clarify the issue. To generalize, a racer is often trying to maximize speed over distance usually with an extremely light, unladen kayak. 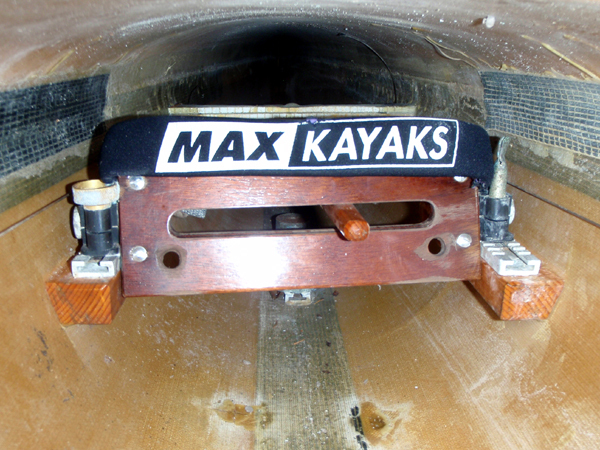 A sea kayaker is often trying the maximize the number of “miles per Snickers bars”, often with a heavy or gear-laden kayak, day after day. These are related, but are very different things and need to be viewed separately. Q: What would you suggest to someone who wants to unlearn unwinding before the catch and start to get good muscle memory for catch before unwinding. Because the kayak is already moving I find myself unwinding – irresistibly! ;-( before catch. Apart from visualizing spearing a salmon, do you have other advice, tips, tricks, dry/ wet exercises etc to catch before unwinding? A: When I do video analysis of students a common error is unwinding before the catch, or in other words, starting to apply power before the paddle is completely buried. This is a common power leak. If you are “pulling” before the paddle is planted, not only is your stroke shortened (giving you less time to generate power), but the catch is often poor too (drawing air into the water — ventilation, and creating turbulence and making noise — “plop!”). How short is a “model” stroke? For a wing you should be starting your exit when the blade reaches your knees and the blade should exit when your hand reaches your hip. Since the stroke is so short, you can’t afford to waste any of it. A Greenland paddle also exits when your hand is at your hip, but the blades are long, and will exit behind you. My latest DIY project was to create a full footboard to replace the skimpy original on my K1 (right). This was a relatively quick and inexpensive project. First task was to make a cardboard pattern to determine the size and fit. For the construction I used 1/2″ (12.7mm) thick birch plywood, but it’s stronger than it needs to be, 3/8″ (9.5mm) thickness would be fine, and would save a little weight. The only challenging part of the operation was to cut the slot for the tiller bar (rudder control) as this needs to be cut at the same angle as the slope of the footboard or the tiller will stick. My approach was to drill two holes at each end of the slot using an old-fashioned bit-brace (hand drill) with a bit the same diameter as the intended slot. To get the angle right, I placed a sliding T bevel set at 60 degrees on the stock and just eyeballed it as I drilled. A sabre saw with an adjustable base (set to 60 degrees) made quick work of cutting the waste from the slot.